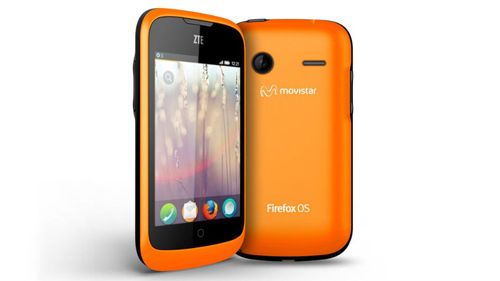 Mozilla has released a new smartphone running Firefox OS in spain . The ZTE Open and Alcatel One Touch Fire are very basic phones with 3.5-inch screens, entry level specs and an appealing price point. The ZTE open will start retailing in spain from July 2 for 69 euros, or about $90. Mozilla is trying to tap into the mobile market by playing with the industry leaders like Samsung and apple as well as small players as blackberry and Nokia’s windows phone . “Firefox OS is an extension of the Firefox desktop and mobile browsing experience that hundreds of millions of people know and love, so you can expect all the security, privacy, customization and user control Firefox always delivers,” Mozilla said in a statement. Design wise the Firefox OS is pretty simple , with the home-screen resembling to that of an Iphone . The phone has basic features built in for phone calls , messaging ans an new HTML5 supported web browser . Firefox OS includes the most popular apps on other platforms , like Facebook , Twitter and maps powered by Nokia here .New HTML5 are to be introduced in the Mozilla marketplace after screening for security checks . Currently the phones are being sold by Telefonica in spain , Mozilla plans to start selling the ZTE Open as well as the Alcatel One Touch Fire smartphones in markets like Spain, Poland, Colombia, Venezuela and eventually Brazil, where an iPhone is relatively expensive for most people. Mozilla in banking on the good looks and comparatively cheap price of their new phones to make it moderate success . There is no word right now , whether the phones will release in the US and other countries not specified . What are your views on the new Firefox OS powered mobiles ? Do share your views in the comments .